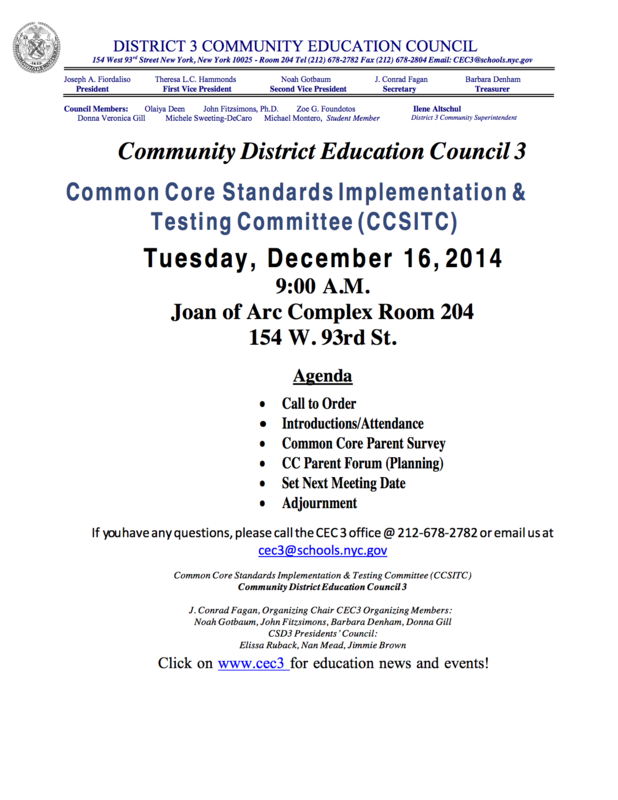 Tues. 12/16 9:00A CEC3 Common Core Standards Implementation & Testing Committee Mtg. - JOA Room 204 - 154 W. 93 St. The password is "abc123." Thank you! Handwork is a valued piece of learning for boys and girls in many Progressive schools. Rudolf Steiner (Founder of the Waldorf Schools) believed that Handwork supported the intellectual and emotional development of children and that through handwork the inner and the external world of the child is united. Steiner felt that through the engagement of mind and handwork a child's understanding of the world and her connection to it would naturally occur. We are not Waldorf teachers and MSC is not a Waldorf school, but we do believe that "Hand work" is an important piece of a child's cognitive, social and emotional development. That is why we engage our students in class in handwork and project work. This year we would love to extend our practice and passion beyond the classroom day. This time around our program will be on weaving- paper weaving then hoop weaving. It starts on Wed. october 8th until November 19th. Knitting I - will focus on the basics of knitting. It will run from January 7th through February 11th. Next we will have Knitting II. It will run from February 25th through April 1st. The focus will be on reading a basic knitting pattern and completing a project. Finally we will have our last program in May through mid June, details TBD. 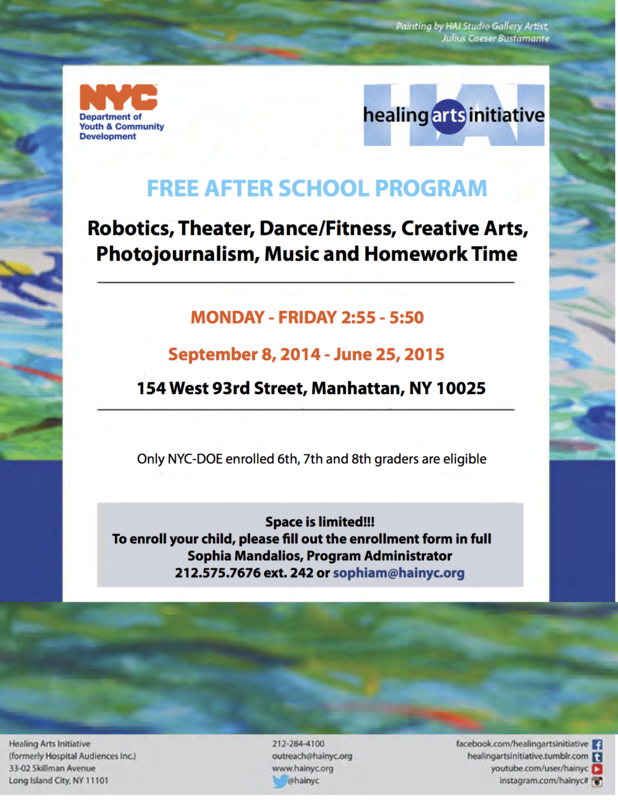 The free HAI After School Program will begin for PS 333 middle school students this Monday 8th December 2:55pm - 5:50pm. If interested, please submit/email/fax the completed enrollment form attached to guarantee a spot for you child! You can also hand completed forms to the main office or to Tatianna Hoover. *** We are in Room 320 every day with the HAI after school.